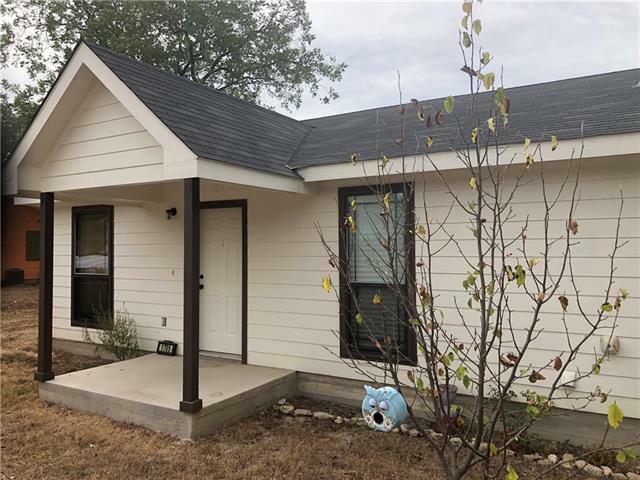 All Goldthwaite homes currently listed for sale in Goldthwaite as of 04/19/2019 are shown below. You can change the search criteria at any time by pressing the 'Change Search' button below. If you have any questions or you would like more information about any Goldthwaite homes for sale or other Goldthwaite real estate, please contact us and one of our knowledgeable Goldthwaite REALTORS® would be pleased to assist you. 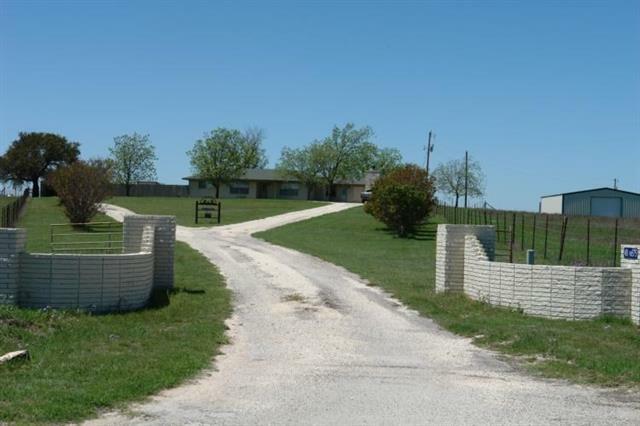 "Beautiful Mills Co ranch with gorgeous home, in ground pool, shop, barns , pens. Cross fenced into multiple pastures for stock rotation. 2 wet weather creeks lined with large mature pecan trees. Tree cover includes pecans, oaks, shinnery, spanish oaks and other native cover. Deer seen everywhere along with turkey and dove ! Tanks are stocked with fish making this the complete package!" 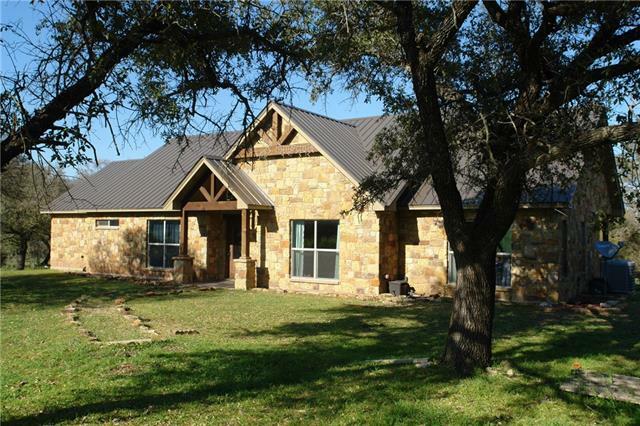 "Beautiful ranch with the Hill Country look and feel. Live oaks, elevation changes with amazing views, creek, tanks, heart of white tail deer country ! Home has been meticulously maintained and is move in ready. 2 water wells, shop, barn, pens, coastal and much much more !" "Highly improved ranch with a 3,636 sq ft of living area, according to MCAD. This beautiful custom home has two living areas, 3 bedrooms, 4.5 baths, fireplaces, wet bar and so much more! Home is serviced by a water well and septic system. Every room has beautiful wood work that is hard to describe! Amenities include several large barns, an 8 room bunk house with kitchen, dining area and office areas that could easily serve as a bed and breakfast. Terrain is gently rolling with a spring fed cre"
"Amazing property that combines ranching, hunting and recreation all in one place. Home is immaculate as are all the other improvements on this property. Thiere is a 5 horse stall - run, numerous barns, metal buildings, pens. Eveything you need is set up and ready to go including deer stands and feeders. Million dollar views from the home. Look at the pictures then call to set up a time to take a look !" "Beautiful custom built 2 story brick home. 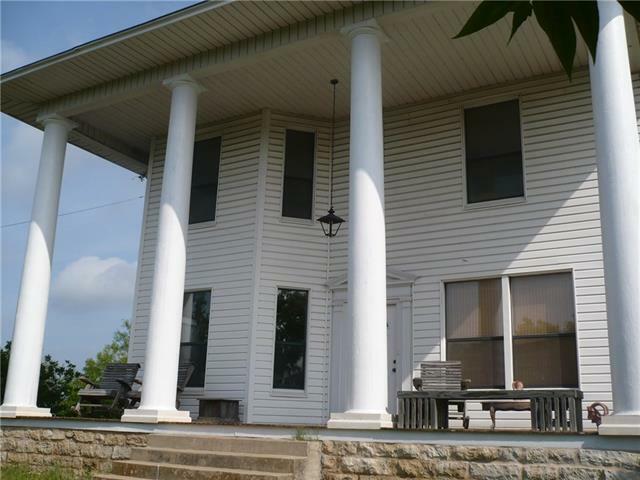 Home is extremely well maintained and move in ready. 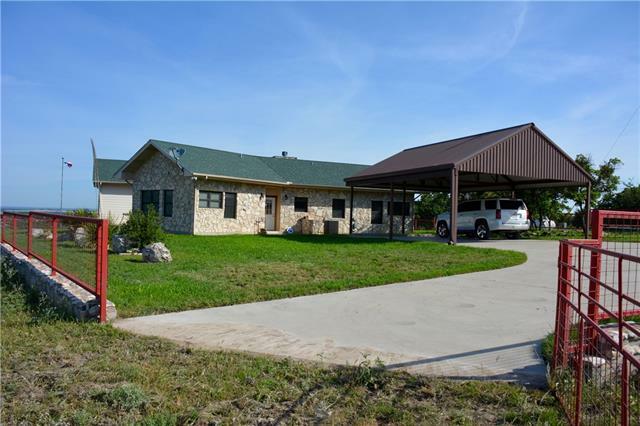 So many extras on this place including paved driveway with two cattle guards, metal shop, basketball court, covered patio area, pens, 2 water wells. Must see this property to appreciate it !" 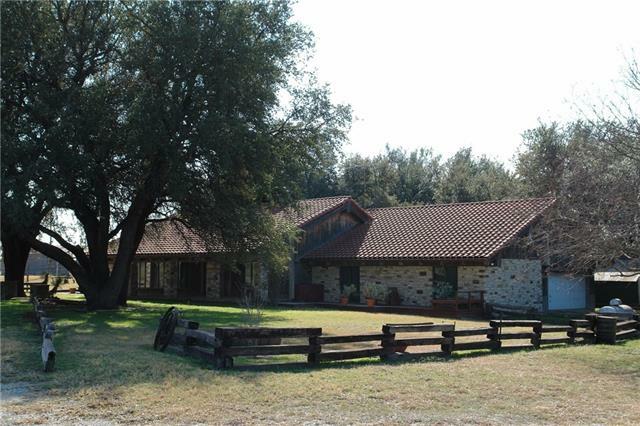 "Rolling terrain, views, live oaks, completely fenced and cross fenced, 3 water wells, a seasonal creek, a large metal barn with horse stalls and a set of pipe pens. Custom home has high end appliances, onsuite master, central heat and air, water softner, and septic system. Home has foam insulation sprayed in the attic and exterior walls. The utility room has washer and dryer hookups, a wash area for your dog, and plenty of storage. Property is ag exempt and all owned minerals convey. 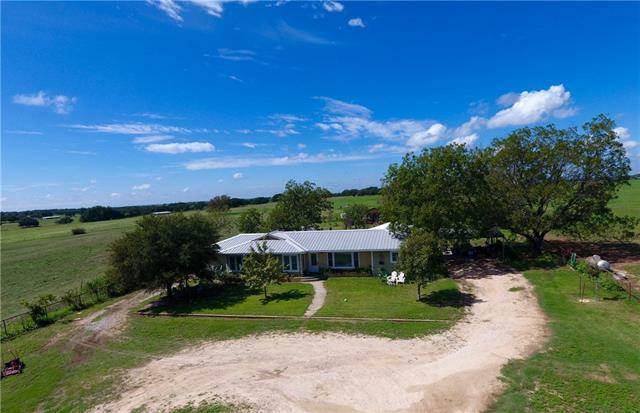 I"
"17 acres, with additional acreage available, with rolling terrain,great views, live oaks, completely fenced and cross fenced, water well, and a large metal barn with horse stalls. The beautiful custom home has high end appliances, on suite master, central heat and air, water softner, and septic system. Home has foam insulation sprayed in the attic and exterior walls. The utility room has washer and dryer hookups, a wash area for your dog, and plenty of storage. The sellers spared no expense w"
"Custom brick home with all appliances, includes washer and dryer. Quartz counter tops add to the beauty of the home. Split bedroom arrangement with jack and jill bath between two bedrooms. Large screened and covered patio to enjoy warm summer evenings and watch the deer. The flooring in the master bedroom and one of the other bedrooms is carpet. The remainder of the home has an easy to care for slate tile floor. Home has central air and heat pump and city utilities. The home also has a water "
"Nice smaller acreage located close to town. Great horse place with aprox 10 acres of coastal. Horse walker will convey. 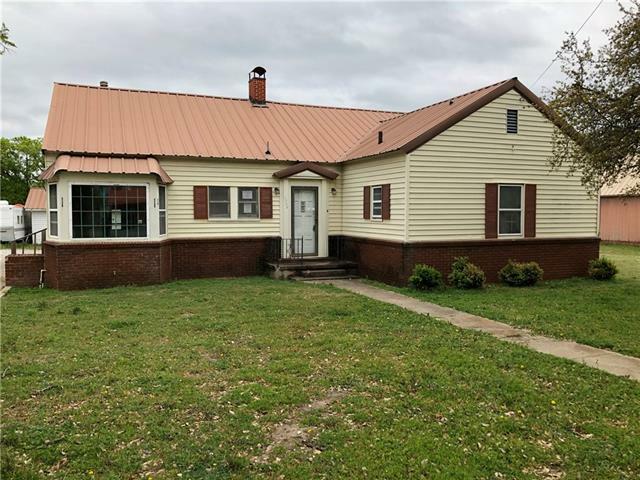 Home has been updated and has so much country charm!" 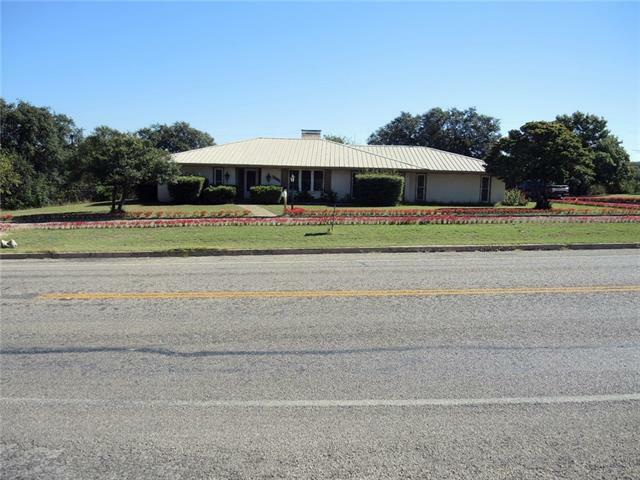 "A very unique 2 story colonial home sitting on a hilltop with scenic views of the town of Goldthwaite and countryside that one can see for miles. 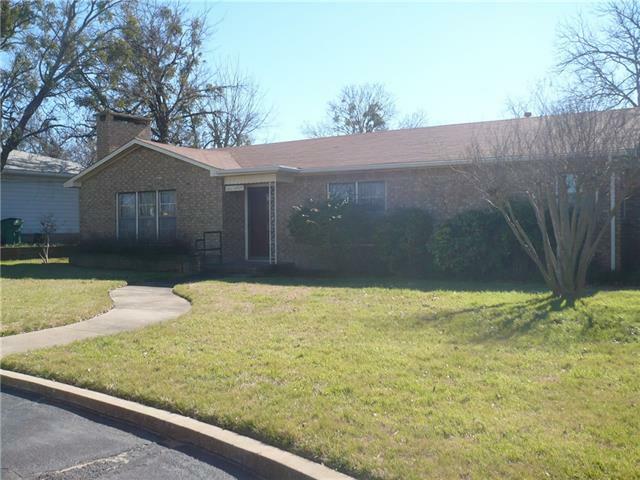 This home is suitable for a large family containing 5 bedrooms and 2 baths. Also could be considered as a bed and breakfast with the way the home is designed. Many improvements have been added over the past several years. The one thing that makes this home unusual is the closet and storage space that is contained within the 2284 square feet of living "
"Stately 2 story 1920's home with large covered porch and large circle drive. Spacious living room with formal dining room that features original character of its era. Original chandeliers adorn the tall ceilings. Wood floors of unknown condition under the carpet. This large home features 4 beds and 4 baths. Large kitchen features vintage 1955 metal cabinets in great condition. Off of the kitchen is a large laundry room, bath and a room used as an office. Retro is in so make the high end wallpape"
"Custom build home on aprox. acre of land with 3, 2, 2, all brick, den with fireplace, laundry room and office area in garage that are heated and cooled. Exterior is 100% brick with double hung thermal windows, 5 ton 16 seer central unit, and metal roof. New vinyl plank waterproof flooring has recently been installed to add to the beauty of the home. All appliances convey. The lot is beautifully landscaped with shrubs and large oak trees. There is a large covered patio on the back of the home "
"Great home with 4 bed 3 bath 2 office spaces and 2 living areas! 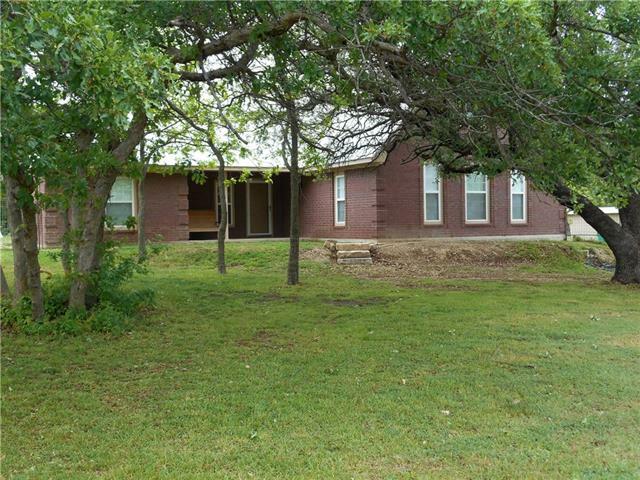 Beautiful red brick home conveniently located in Goldthwaite TX, that has a large yard and an adjacent lot to the property. The house amenities include, guest wing that has a bedroom and a bathroom along with a office that can be shut away from the rest of the house. Also, the bottom floor has the master bedroom with a walk in closet and master bathroom. Open concept from the living room, dining room, and kitchen. Energy efficien"
"Well kept brick home close to schools. According to MCAD, there is 1758 square feet of living space with 3 or 4 bedrooms and 2 baths. The 4th bedroom has been used as a small den area but could also be used as an office. There is a large living room with a brick fireplace on the east end. Walk through the living room one will enter a large dining room Continue walking will put you into the kitchen and off of the kitchen is the laundry. This will also lead into the 2 car garage. The propert"
"This is a great family home on a corner lot, 3bdr, 2bth, wood burning fireplace, large kitchen with 4 lazy susans! The newly update home boast new laminate floors though out the main house, counter tops in the kitchen and restrooms. The large den opens up to a covered patio with attached picnic table and benches. The large back yard offers plenty of room to run with another building at the back of the yard for storage or the second floor could be the kids club house. 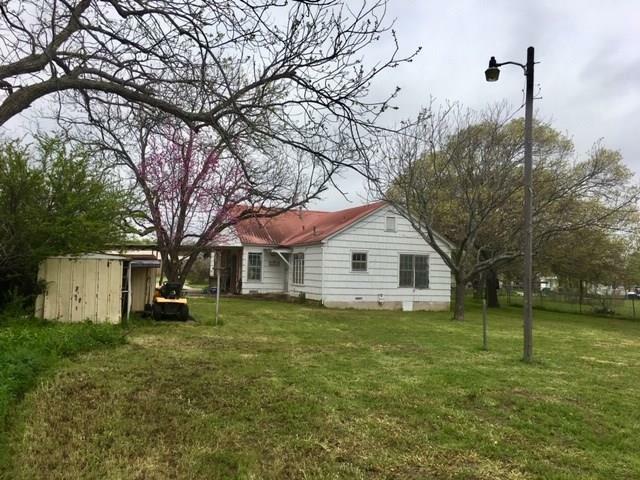 There is a two car carport "
"Beautiful 1 acre lot with large section of it fenced, goats can be included if wanted, Lots in town this size are very rare! Includes a very sturdy 2 or 3 bedroom home with fabulous ship lap walls. This home is waiting for a renovation. This will make a fabulous home with a little TLC. Come see this gem today!" "Beautifully renovated home that you must see to appreciate. The owners spared no expense and installed new central heat and air unit, electrical wiring and electrical box, double pane windows, kitchen cabinets built by local professional and on and on. Rooms are all a good size and the 9 ft ceilings are a plus. Everthing is freshly painted and move in ready. Bonus building is a one bedroom one bath that could be rented or used as an office or hobby space. Also has 3 storage sheds. Yard is"
"3 Bedroom 2 Bath Home located within walking distance to middle school and high school. Quiet location. Open concept with pantry and laundry closets Would be a great first home. Privacy fence in back yard with a gazebo." "HUD OWNED PROPERTY. 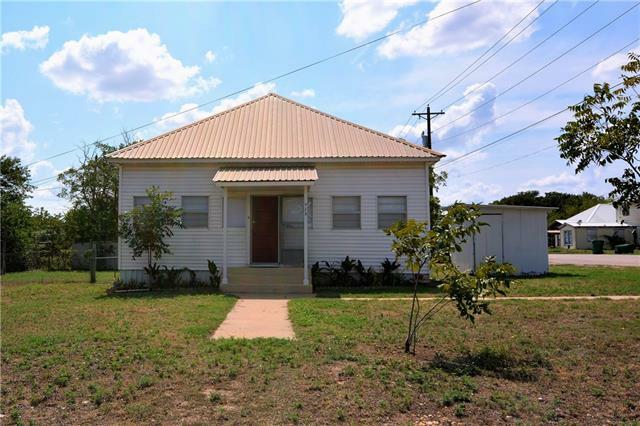 ALL BIDS THROUGH HUDHOMESTORE.COM THIS IS A 3 BED 2 BATH HOME LOCATED IN GOLDTHWAITE."